Today we leave the year of the earth dog, and move into the year of the yin earth pig. For those of you that are fascinated by other cultures, and especially horoscopes, reading up on the forecast for the yin earth pig year can be a truly fun experience. I love to read the annual forecast by Chinese medicine practitioner Lillian Bridges. She bases her annual analysis on decades of experience in the five element understanding of Chinese medical theory. You can read her entire forecast here. The quick snapshot is that this isn’t just an earth year, there is a heavy influence of water that can create mild conflict this year. The outlook for this combination of yin, earth and water is for dampness to be a common theme this year in both our environment and our bodies. Water and earth of course create mud, which for this year may cause us to have muddy thinking. Mental clarity maybe harder to strive for, and is worth paying attention to when making important decisions. From a physical health standpoint, our bodies will be extra susceptible to dampness this year. If you are already prone to damp tendencies, this is the year to be diligent about supporting your body’s ability to regulate dampness. A tongue with teeth marks or the impression of your teeth in it. Also called scalloping along the edges. The best way to combat dampness is to have regular movement in your life. Since this is an earth year, it is best to focus on grounding types of movement such as yoga, pilates, tai qi, walking, and hiking. Nutritionally, it is important to avoid damp producing foods. These are dairy, wheat, sugar, fatty cuts of meat, greasy-fried foods, and to a lesser extent eggs and soy. If you tolerate eggs and soy well, you can cook them with qi moving herbs and spices. It will also be important to cook the majority of your food this year, as cold, raw foods can fatigue your digestive system and make them prone to creating dampness from improperly digested food. 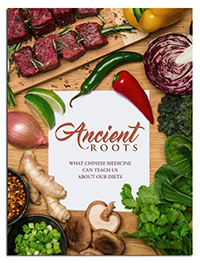 To learn more about what culinary herbs, veggies, fruits, and cooking styles help combat dampness, please check out our video series: Ancient Roots: What Chinese Medicine Can Teach Us About Our Diets. Lindsey Thompson is an East Asian Medicine Practitioner at the Thompson Family Acupuncture Clinic in Walla Walla, WA. She loves growing vegetables, raising chickens, and striving to get the most out of life. Practicing medicine and help people find ways to improve their health at home is one of the most fulfilling aspects of her career. Check out her Chinese medicine based lifestyle and nutrition video series, Ancient Roots: What Chinese Medicine Can Teach Us About Our Diets. Link in the side bar of the blog.